Thomas Huxley was a famous Scientist from England, who lived between May 4, 1825 and June 29, 1895. He became 70 years old. 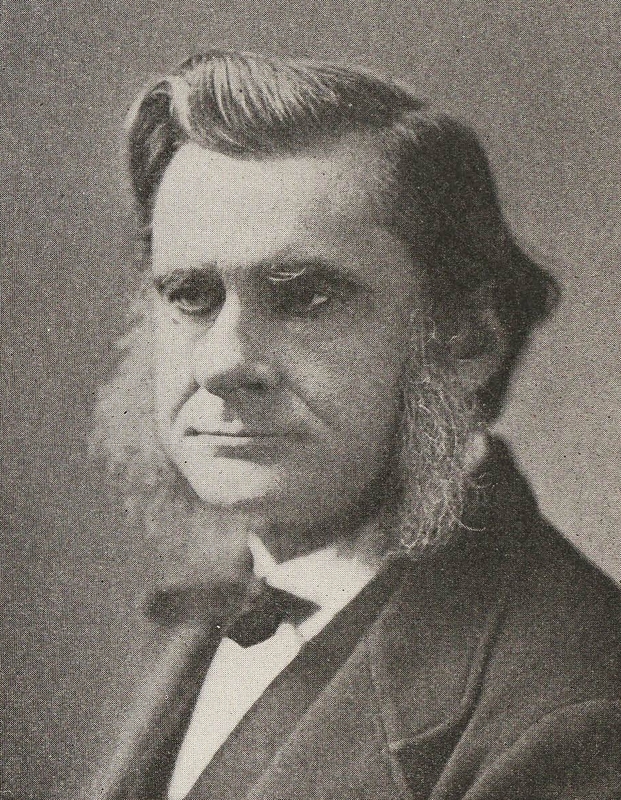 Thomas Henry Huxley (born in Ealing in Middlesex, England, died in Eastbourne) was a British biologist who is known as an early supporter of Darwin's thinking. He has often been referred to as "Darwin's bulldog" on gunn of his defense of many (but not all) of Darwin's theories. He is particularly remembered for his violent discussions with Bishop Samuel Wilberforce. His scientific debates with Richard Owen is a good example of his vision. Huxley tried to find similarities between human and gorillas skeletons, and he wrote about this and made ​​posters. He was in 1869 one of the prodarwinister who founded the journal Nature. His essays gave him a reputation as one of the English language's greatest stylists. His language endowment helped to popularize Darwinism for the broad masses, in that he used a simple language that most people could understand. Huxley meant to be the first person who began to use the word agnostic in 1869. He said that the churches claimed to possess a special gnosis (knowledge) of God and of things originated. He claimed that he could not accept this because it was about courses outside human perception, and that he therefore was agnostic. Some later Christian apologieter Huxley describes as the first atheistic evangelist, even though he used the word agnostic and would not agree that he should be an atheist. He was, however, a strong opponent of almost any form of organized religion, though he especially went out against Catholicism. Lenin said about him in his work Materialism and empiriokritisisme that "In Huxley's case ... agnosticism serves as a fig leaf for materialism. " Thomas Henry Huxley, the father of Leonard Huxley and grandfather to Julian Huxley, who was among others was UNESCO's first director and one of the International Humanist and Ethical Union's founders, and the author Aldous Huxley. He is born under the zodiac taurus, who is known for Security, Subtle strength, Appreciation, Instruction, Patience. Our collection contains 65 quotes who is written / told by Thomas, under the main topic Words of Wisdom. "It is not who is right, but what is right, that is of importance"
"Learn what is true in order to do what is right"
"I take it that the good of mankind means the attainment, by every man, of all the happiness which he can enjoy without diminishing the happiness of his fellow men"
"Economy does not lie in sparing money, but in spending it wisely"
"Freedom and order are not incompatible... truth is strength... free discussion is the very life of truth"
"Ecclesiasticism in science is only unfaithfulness to truth"
"Books are the money of Literature, but only the counters of Science"
"All truth, in the long run, is only common sense clarified"
"I protest that if some great Power would agree to make me always think what is true and do what is right, on condition of being turned into a sort of clock and would up every morning before I got out of bed, I should instantly close with the offer"
"I do not say think as I think, but think in my way. Fear no shadows, least of all in that great spectre of personal unhappiness which binds half the world to orthodoxy"
"I believe that history might be, and ought to be, taught in a new fashion so as to make the meaning of it as a process of evolution intelligible to the young"
"I am content with nothing, restless and ambitious... and I despise myself for the vanity, which formed half the stimulus to my exertions. Oh would that I were one of those plodding wise fools who having once set their hand to the plough go on nothing doubting"
"History warns us that it is the customary fate of new truths to begin as heresies and to end as superstitions"
"I took thought, and invented what I conceived to be the appropriate title of 'agnostic'"
"It is the customary fate of new truths, to begin as heresies, and to end as superstitions"
"It is one of the most saddening things in life that, try as we may, we can never be certain of making people happy, whereas we can almost always be certain of making them unhappy"
"It is not to be forgotten that what we call rational grounds for our beliefs are often extremely irrational attempts to justify our instincts"
"It is because the body is a machine that education is possible. Education is the formation of habits, a superinducing of an artificial organization upon the natural organization of the body"
"Irrationally held truths may be more harmful than reasoned errors"
"In scientific work, those who refuse to go beyond fact rarely get as far as fact"
"In science, as in art, and, as I believe, in every other sphere of human activity, there may be wisdom in a multitude of counsellors, but it is only in one or two of them"
"If a man cannot do brain work without stimulants of any kind, he had better turn to hand work it is an indication on Nature's part that she did not mean him to be a head worker"
"The only freedom I care about is the freedom to do right; the freedom to do wrong I am ready to part with on the cheapest terms to anyone who will take it of me"
"No slavery can be abolished without a double emancipation, and the master will benefit by freedom more than the freed-man"
"Science commits suicide when it adopts a creed"
"Patience and tenacity are worth more than twice their weight of cleverness"
"The great thing in the world is not so much to seek happiness as to earn peace and self-respect"
"The improver of natural knowledge absolutely refuses to acknowledge authority, as such. For him, skepticism is the highest of duties; blind faith the one unpardonable sin"
"Science is organized common sense where many a beautiful theory was killed by an ugly fact"
"There is the greatest practical benefit in making a few failures early in life"
"Science is nothing, but trained and organized common sense"
"The more rapidly truth is spread among mankind the better it will be for them. Only let us be sure that it is the truth"
"The medieval university looked backwards; it professed to be a storehouse of old knowledge. The modern university looks forward, and is a factory of new knowledge"
"Science and literature are not two things, but two sides of one thing"
"There is no sea more dangerous than the ocean of practical politics none in which there is more need of good pilotage and of a single, unfaltering purpose when the waves rise high"
"There is but one right, and the possibilities of wrong are infinite"
"The world is neither wise nor just, but it makes up for all its folly and injustice by being damnably sentimental"
"The ultimate court of appeal is observation and experiment... not authority"
"The struggle for existence holds as much in the intellectual as in the physical world. A theory is a species of thinking, and its right to exist is coextensive with its power of resisting extinction by its rivals"
"The scientific spirit is of more value than its products, and irrationally held truths may be more harmful than reasoned errors"
"The scientific imagination always restrains itself within the limits of probability"
"The rung of a ladder was never meant to rest upon, but only to hold a man's foot long enough to enable him to put the other somewhat higher"
"The results of political changes are hardly ever those which their friends hope or their foes fear"
"The only question which any wise man can ask himself, and which any honest man will ask himself, is whether a doctrine is true or false"
"The child who has been taught to make an accurate elevation, plan, and section of a pint pot has had an admirable training in accuracy of eye and hand"
"The chess-board is the world, the pieces are the phenomena of the universe, the rules of the game are what we call the laws of Nature. The player on the other side is hidden from us"
"The Bible has been the Magna Carta of the poor and of the oppressed"
"The best men of the best epochs are simply those who make the fewest blunders and commit the fewest sins"
"Surely there is a time to submit to guidance and a time to take one's own way at all hazards"
"Size is not grandeur, and territory does not make a nation"
"Sit down before fact as a little child, be prepared to give up every conceived notion, follow humbly wherever and whatever abysses nature leads, or you will learn nothing"
"Science reckons many prophets, but there is not even a promise of a Messiah"
"Science is simply common sense at its best, that is, rigidly accurate in observation, and merciless to fallacy in logic"
"No delusion is greater than the notion that method and industry can make up for lack of mother-wit, either in science or in practical life"
"My experience of the world is that things left to themselves don't get right"
"My business is to teach my aspirations to confirm themselves to fact, not to try and make facts harmonize with my aspirations"
"Misery is a match that never goes out"
"Make up your mind to act decidedly and take the consequences. No good is ever done in this world by hesitation"